Defence Projects require a solid understanding of the relationship between cost and schedule, and the measurement of Earned vs Actual. Of course you must also become an expert at TLA's (Three Letter Acronyms) ;-). 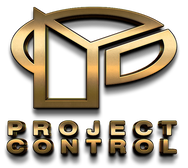 At Project Control we've been involved in some amazing projects, challenging and complex but also very rewarding. In 1997 Project Control were engaged by ADI to develop their Integrated Logistics Support (ILS) schedule in Artemis Views for approval by the Navy (within a 3-month period). We successfully delivered the detailed ILS (Integrated Logistics Support) schedule within the required 8 week time frame to the Project Authority. This schedule was accepted as the first baseline and we continued with ADI for a total of 24 months until the first ship was launched, and the ILS program was complete. We were to provide full Earned value Analysis to the Navy on a monthly basis and to maintain the schedule which required a thorough knowledge of each and every system on the new Minehunter Vessels. We also developed the MML (Master Materials List) for the project, which provided a useful inter-department cross-reference and data store for every part on the vessels. Following the Successful completion of the Minehunter Project with ADI in Newcastle, Project Control were called in to assist in the development of the Contract Master Schedule to gain approval from the Dept of Defense. Our role was to review the rejected CMS and provide ways to satisfy the Project Authority (Commonwealth Gov.). We provided analysis of the schedule, the department structure and staff, and I made recommendations to improve the schedule. This schedule had over 4,000 tasks and involved 18 internal departments and 4 major subcontractors.